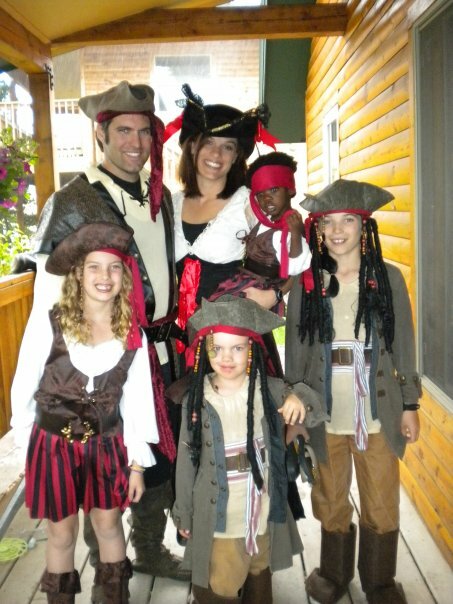 Last night was the Pirates Vs. Ninja party here at Kanakuk Colorado. We were all set for an epic battle between the two most beloved villains in film history. The kids came prepared with moves from Jet Li, and Jack Sparrow. It was quite a show. As you can see here in the background, the heavens decided to open up and drench us for a while, so the battle had to be put on hold, but the epic clash of the Titans was only postponed. We do these kinds of parties for a reason. Everybody loves to have fun. Everybody loves dressing up and playing pretend. It's how we were made. Somewhere between our childhood and adulthood, "play" becomes more about leisure than telling stories, or pretend. Well, out here we invite those teenagers to return to a place where they can play games, have fun, and be together. It's a wonderful way to show students there are other ways of having fun than drinking or abusing controlled substances. In any event…the kids loved it. They had a blast. Just another awesome day at K-CO!